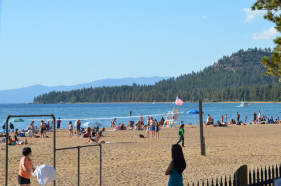 Looking for one of the finest sand beaches on Lake Tahoe? Lakeside Beach and Marina will have you relaxing in no time. Enjoy a dip in the cool water, take the kids to the lakeside playground, or play some sand volleyball with friends. Swimmers are protected by breakwaters and there is a lifeguard on duty for added safety. There is also a restroom, benches, and picnic tables, allowing beachgoers the option of having a picnic on the beach, or sitting down to a delicious meal at the Lakeside Beach Grill. If you plan to relax on the beach you can rent umbrellas and chairs onsite. For some fun on the water, head to the adjacent Lakeside Marina and rent a boat, jet ski, paddle boat or other watercraft. The north end of the beach features a wheelchair accessible walkway and seating that can be rented for group events and weddings. The restaurant is also available for banquets and special events. 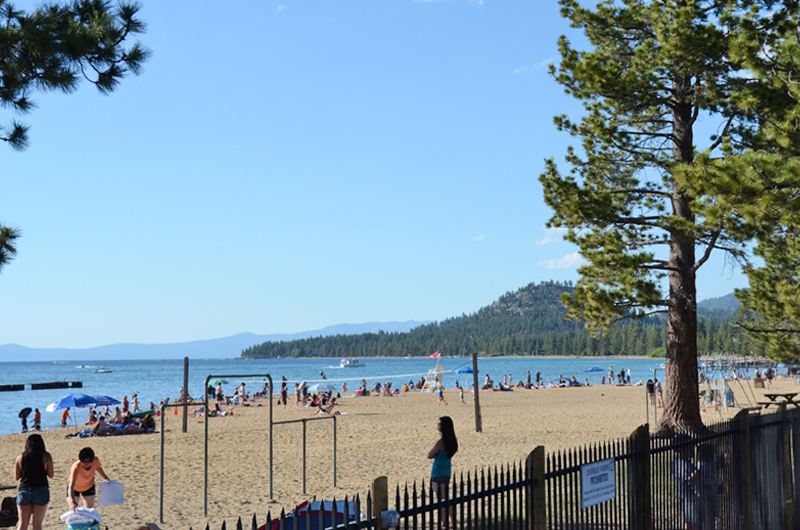 Expect the sand to be a little course and the water, although beautiful, is not as clear as some areas due to the run off from the Upper Truckee River. 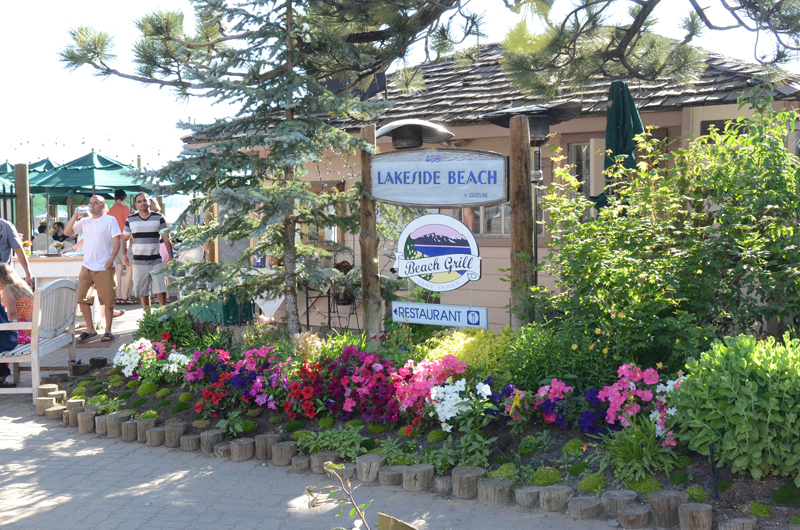 Lakeside Beach and Marina is easily accessed by walking, biking, water taxi (in the summer months), or car. Parking is free, but you must purchase a daily or seasonal pass to use the beach during the summer, unless you are a guest staying at a Lakeside Park Association establishment. You do not need a pass during the winter months. 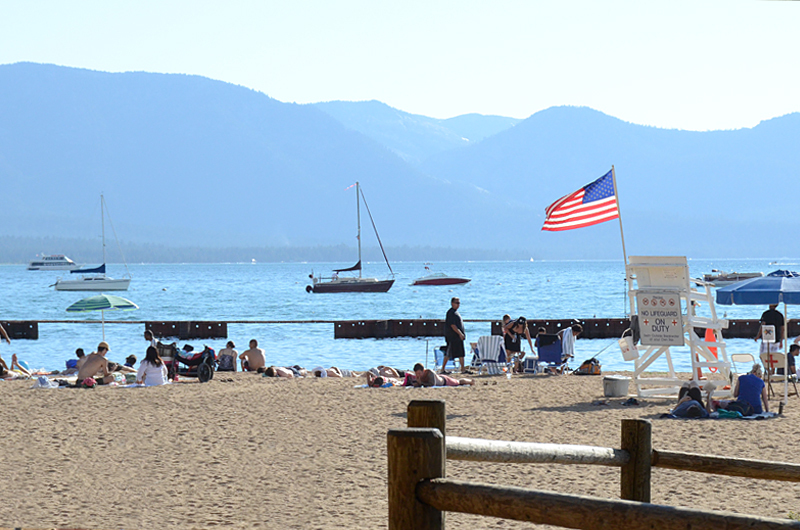 This South Lake Tahoe beach and marina is located in the heart of South Lake Tahoe. 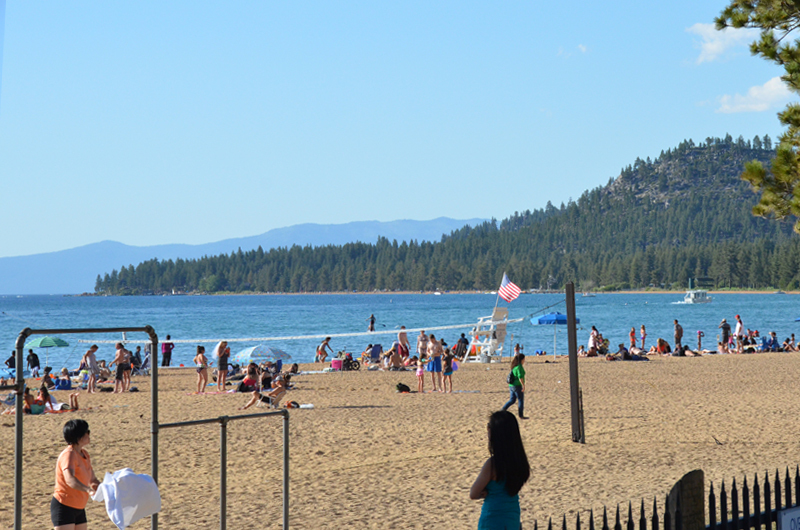 Be sure to plan a day or two relaxing and playing at this lovely beach or visit other great Lake Tahoe beaches nearby.